SCORE Minneapolis is most grateful to its sponsors for their commitment to help small businesses in our area. 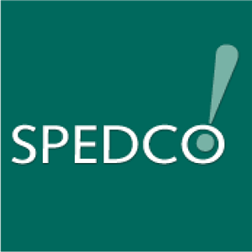 SPEDCO This sponsor has been generous with grants to help SCORE Minnesota market our services and bworkshops. They are currently partnering with us to develop online webinars requested by our clients. Obtaining a small business loan can be complex. Let the SBA experts at SPEDCO handle it for you. They are a Minnesota Certified Development Company (CDC) that originates SBA 504 loans in Minnesota and Western Wisconsin. They handle the paperwork and keep the approval process moving with ethical, high-quality service. 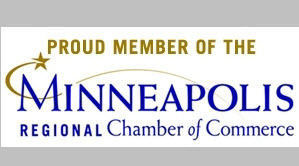 They have been Minnesota's SBA 504 commercial lending and finance expert for 25 years. SBA U.S Small Business Administration. We have been a resource partner with the SBA for years. They provide office facilities to the Minnesota SCORE District office and other helpful services to each of the six Minnesota chapters. The SBA was founded on July 30, 1953 and has delivered millions of loans, loan guarantees contracts, and other forms of assistance to small businesses. It provides assistance primarily through its four major programs: 1) Access to Capital, 2) Entrepreneurial Development, 3) Government Contracting and 4) Advocacy. VENTURE BANK ​provides sponsorship of the Chapter's "Simple Steps to Start a Business" workshop series. They also co-sponsor workshop events for Minnesota Veterans. Their mission is to "Proactively bring value to every business through creative, flexible, tailored banking solutions" under the banner "Small is Powerful." HENNEPIN COUNTY LIBRARY hosts SCORE Minneapolis counselors at various locations so we can be at convenient available to clients. The Hennepin County Library system is home to many libraries throughout the Minneapolis area. Many SCORE clients utilize the research section and find it very useful in researching competitors, demographics and more for business plans. Two subcategories widely used are: 1) Databases, especially ReferenceUSA with a corporate and residential component, and 2) Ask a Librarian with available by phone or email. Many of these resources are available from home to anyone with a library card. The library is a true business partner. Deluxe is one of the major sponsors of SCORE Nationally. Key is the Mentor Certification Program for volunteers. Deluxe is a national provider of multiple business services. Deluxe delivers innovative products and services that help business owners build their brands, grow their dreams and live their passions. Products include checks and forms, website design, SEO, email marketing and Social Media. WELLS FARGO BANK provides general grant money and support for specialized events, such as SCORE-MN Learning Center webinars. 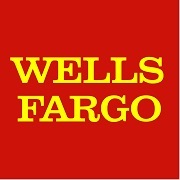 Wells Fargo is a national banking institution with offices in most parts of the USA. It provides services to individuals, small businesses and commercial customers. It is a full-service bank offering checking, savings, lending, credit cards, investment and insurance products. VERITAS MARKETING provides pay-per-click and other marketing services to Minneapolis Chapter. Veritas is the marketing technical advisor for online, on-demand recorded webinars located on the score-mn.org website. Veritas is a business-to-business marketing firm. They provide full service marketing, public relations, website design/development, eCommerce, social media, search engine optimization and creative services to a broad range of clients. IBM of Rochester, MN provides general grant money and much needed laser office printing equipment. We are grateful for this Minnesota plant of IBM. Everyone recognized the IBM logo as a leader in IT services, software, consulting, computers, server, storage systems, outsourcing, industry and small business solutions and other business technology tools. CONSTANTCONTACT provides the chapter with the tools to conduct email and event marketing to our clients. In addition, we can conduct online surveys. This vendor offers a full line of online tools using background templates that are edited with custom text, images and links. The email contact list eliminates duplicate entries for each mailing and provides statistics on opens, bounces and more. The Event Marketing tool generates an unique URL for each event home page. Invitations can be sent, payments collected and registration tracked for our workshops. READYTALK provides the Chapter with both audio (phone) and web (visual and voice) conferencing. The web conferencing service allows a presenter to display a PowerPoint presentation on a PC desktop or an application and narrate it to viewers. Presentations can be recorded for sharing at a later time. The audio conferencing makes it possible to collaborate without travel to a common site. MURPHY BUSINESS Provided valuable specialized knowledge to develop the webinar "Buying a Business" found in the MN Learning Center. BLC Law Peter Brehm has supported SCORE Mpls with presentations on various legal subjects at Simple Steps to Start a Business and Veterans Going Into Business workshops. His law practice covers business law, buying or selling a business, tax and estate planning, litigation and arbitration. DS&B CPA's and Consultants provides financial support to SCORE Mpls's "Simple Steps to Grow Your Business". They also sponsored our "Recipe for Success, A Woman's Perspective". This firm provides audit, consulting in IT and business, tax planning, estate planning and business valuations. 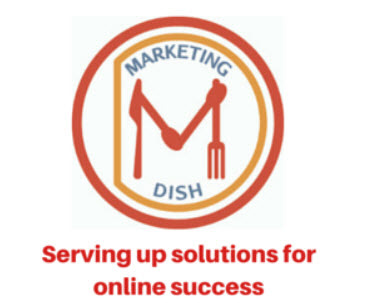 The owner of Marketing Dish provides educational support to SCORE Mpls's clients by discussing online marketing in our Simple Steps to Start a Business workshop series. The company provides speaking and training in the Twin Cities area on many online marketing issues. These include Social Media and LinkedIn, marketing coaching and consulting, weekly blog and free marketing resources. Sunrise Banks is a funding sponsor of SCORE's event called "Recipe for: Success - A Women's Perspective" where successful women owners share their experiences with a broad array of our clients. The bank sponsors our "21 Questions Success Plan" which deals with primarily new businesses creating a business plan for their new venture. This is a key step in acquiring investors or bank financing. 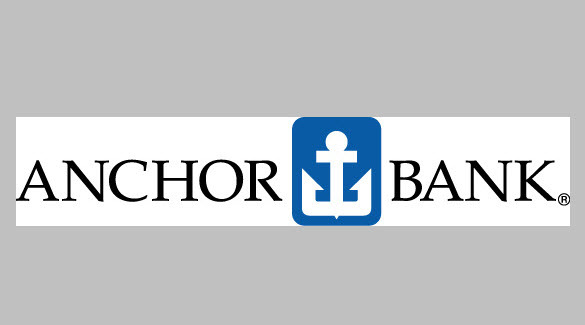 Anchor Bank is a community bank focused on the Twin Cities with 15 locations. They provide a full line of financial products and services divided into Personal, Commercial, Business and Private. Rosa translated our "Are You Ready to Start a Business?" webinar into Spanish so we could serve that community. This is SCORE Minneapolis's highest viewed webinar, covers the basics and could entice Spanish speaking prospects to see SCORE help. Rosa is from Peru, has lived in Paris and moved to Minneapolis a few years ago. She speaks English, Spanish, French and Italian. Her aim is to help bridge the gap between Spanish and English cultures. She teachs Spanish in a small group setting in a conversational mode.